Steve’s Korean BBQ has been an iconic establishment that has served the UC Berkeley community since 1981. We pride ourselves in using high-quality ingredients and marinate our meats daily. 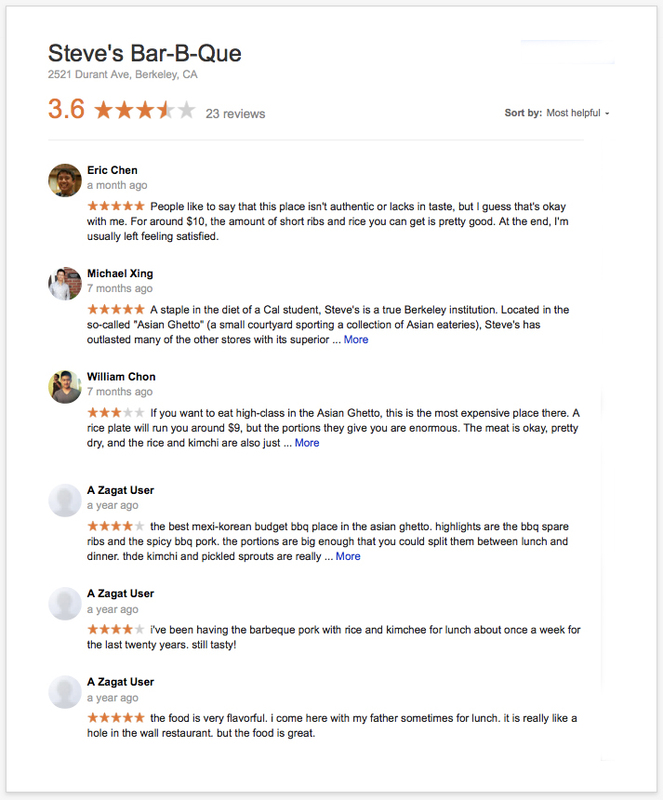 Steve’s Korean BBQ has won a number of awards over the years including “Best of Berkeley” from The Daily Californian and has been recommended in Korean travel guides as a local favorite. Our menu features popular Korean BBQ dishes and other traditional favorites such as Bibimbop, Jap Chae and various Korean soups. We also offer vegetarian and low carb menu items.